Quick I am definitely not at the moment, in more ways than one. 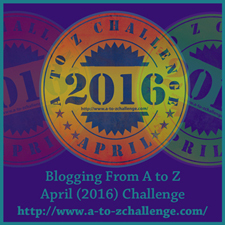 Notice we are up to the letter q and I have finally figured out how to add the A to Z Challenge badge! I am also not that quick on my feet, one more week in this cumbersome boot. I can stand without the boot but not game to walk yet. Two more weddings this weekend one in a park and the other in a private house then I will be able to officiate boot free! Watch out everyone I will be quick to get the boot off when the time comes 8 days to go the same as this A to Z challenge!